So you failed your GAIQ test or scared of taking it? Guess what? I failed too the first time I took despite the many years of using it almost on a daily basis. Some of us think we are smart, know everything and brave enough to plunge in deep waters where most of us would not dare to without getting prepared or trained. Thanks to my reckless bravery I happened to fail my first Google Analytics Individual Qualification Test back in 2012. Well, the main cause of my failure at that time, was obviously the self confidence I had and having considered that several years of experience I had in online marketing especially SEO, PPC and Google Analytics were sufficient enough to take this test successfully. Now, in my post I’ll guide you through all the steps you should take as well as recommending you some valuable resources and a practice test to assure you’ll pass the GAIQ test at your first attempt. I’ll fully guarantee, following my guidelines and all the resources I provide, you’ll get your qualification, no questions about. 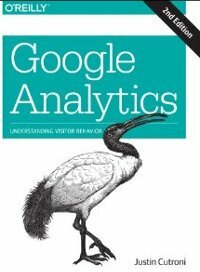 You might be using Google Analytics on a daily basis but this does not necessarily mean you are aware of all the aspects of this tool, how it works or how you should correctly interpret all the data it provides. Google Analytics is evolving year by year, it is a very complex analytical tool and there are many technical aspects you might not be aware of or worse, you can easily get confused when it comes to choose from answer A.) or B.) or even worse A. ), B. ), C.), D.) or E.). I’ll be quite frank with you, just working or using Google Analytics regularly, your chances of passing the test without getting prepared is very slim, all you can reach is between the range of 50%-75% (if you are really good), that’s exactly what happened in my case when I decided to take it on a late Sunday afternoon in 2012 reaching only 68% at that time. Of course, such a result might be acceptable but not satisfactory in case you really want to become a fully Qualified and Certified Individual. For those still not familiar with the Google Analytics Individual Qualification Test or GAIQ, you must reach 80% to successfully pass it, meaning you need at least 56 correctly answered questions out of 70. I might have already scared you with all the challenges you’d have to face to become a Certified Google Analytics Individual, but no worries, I got really good news for you. The aim of this post is to assist you in overcoming your fear and ensure your success in passing the test. If you are an early adopter I’d not advise you to focus on taking the GAIQ test, you’d rather get familiarised with the tool and get used to its interface. Still, I encourage you to follow my guidelines as it will result in getting you more accustomed to the Google Analytics platform and later when you really feel comfortable using it and you want to polish up your CV to get promoted or apply for a new more senior position, then you can go through again the preparation phase and get your test. Well, I suppose most of you already have at least one active account but for those of you who haven’t registered one yet or using your employer’s account, all I can advise to have an account of your own (even if you don’t own a website). Access Google Analytics and register for an account. If you are using Gmail for your emails, you basically already have access to Google Analytics. At this stage you don’t need to take any further steps, I just wanted to make sure you already have access to this analytical tool. 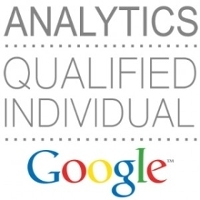 There are four main courses provided by Google through their Analytics Academy platform. If possible bookmark this web address and make sure it’s always at hand. And now let’s see in brief what each of these courses will teach you. In this course you’ll get a thorough introduction into the core principles of digital analytics with the aim of becoming more knowledgeable in all that digital measurement can offer for your business. At this stage you are supposed to have gone through each lesson in the Digital Analytics Fundamentals course (at least twice!) 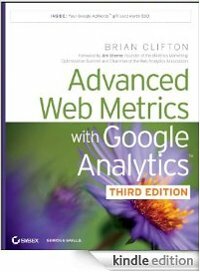 and now you are prepared to learn some more advanced aspects of the Google Analytics tool. There are 4 units in this course in which you’ll learn more about how Google Analytics collects, transforms and organizes data into all the reports you can see under your Google Analytics account. Compared to previous courses, you’ll find the Ecommerce course rather interactive than plain video, so it’s quite of a fun going through these lessons. I’ll make sure to keep you updated as soon as I’ll manage to provide more on this course 🙂 . Now you reached the point when you’d listened and taken notes of each individual lessons of all the three courses needed to get you prepared for your GAIQ test. This is the point which reminds your college or high-school years when after many days of studying, you realised you knew nothing :). Well, you shouldn’t worry, what you feel is natural and it happens with any of us. In order to make your life easier I have created a practice test, actually the one I took in May 2014 and passed with 84% (59 out of 70) though I hoped for something above 90% 🙂 . The scope of this test is to simulate the original one and I’m offering it for free. To reach the test, please click here. By this time you are really supposed to get fully prepared for taking the test. My advice is to schedule your test for the morning when you are completely relaxed and wide-awake 🙂 . Prior taking the test, you’ll need to register on Google Testing Center (GTC) but remember, here you’ll need a new account, not the regular Gmail account you might be using. After registration and accessing the GTC platform, besides the Google Analytics Individual Qualification Exam you’ll find four additional AdWords Exams as well. The GAIQ test itself costs you $50 but since I’m so grateful, here are two voucher codes you can use and get 50% discount: BrianCliftonBook2010 or ‘PerformanceMarketing’. In order not to get a Security validation failure you might need to access the above address on other browser or use the incognito mode of your regular one. When I took my GAIQ test I just used my regular browser without any problems however for AdWords exam I had to download the Testing Center browser, an .exe file which you can only run under Windows. Anyway, I’m just trying not to miss anything critical to get you fully prepared. The testing interface is really simple and effective. You can mark those questions you are not 100% sure of the correct answers, this way you can easily review them after going through all the questions. Hopefully you’ll pass your test and as soon as you did so, you’ll be awarded with a certificate, a downloadable PDF (looks pretty much of a diploma) and eventually you can use a badge (see below) on your own website. 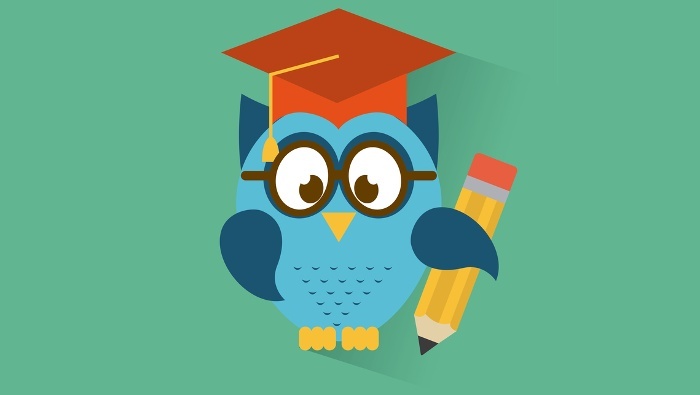 Just in case you missed passing your exam ie you did not reach 80%, at the end of the test there will be listed all the topics on which you did not perform sufficient enough and you need some further improvements so that you can get more prepared for your second round in taking the test. As long as I know there are two occasions to take the test within a 30 day period of time, basically two times in a month, so no worries. I really hope you found my guidelines helpful and wish all of you preparing for the GAIQ test to make it a success then share your experience lower in the comment section. 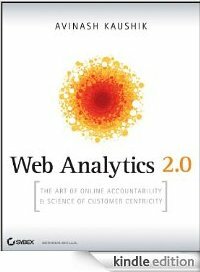 In addition I thought few of you would be willing to take their journey even further and become veterans or advocates in all that web analytics has to offer. Please go through the additional resources I have collected for you, they are really good stuff. This is optional and relates to those who have taken the test successfully and are eager to become professionals as digital data analysts.